*These players have helped build this program into one of the top high school women's soccer programs in the country and have made a difference on and off the field through their hard work, dedication, respect, leadership, and attitude. Margaret stormed onto the scene her freshman year as the teams leading scorer with 24 goals and 4 assists for 52 points. She was a very intelligent player with a nose for the goal. She was in the right place at the right time. She had extreme presence in the box and was not afraid to mix it up. Margaret had an incredible work ethic and helped lead this program to many highs during her successful high school career. Even though Margaret missed about 70% of the season her junior year due to a knee injury she still played over 80 matches for the Lady Vikings scoring 54 goals and 15 assists for 123 points. Margaret played club soccer for D’Feeters ’85, Texas Image ’85 and ’82, and JATO Image ‘84. The Lady Vikings are in unfamiliar territory at 3-4-0 after the first half of the district season but all and all have plenty of positives to build on as they move into Season 2. Nolan Catholic has battled injuries and a lopsided 5-0 loss to the nations #4 team, Ursuline. The Lady Vikings received a pre-season ranking of #35 in the country by ESPNRise and beleive that that is where they belong outshooting opponents 108 to 34 through 7 games. In 3 of their 4 losses, they put 36 on target while conceding only 7. In losses to Liberty, John Paul, and TCA they also had a 21-7 corner kick advantage. There is another 7 games to play in district and 6 teams will make the playoffs with the Lady Vikings never finishing less than 2nd. That is still in their sights as they start Season 2 with Liberty Christian at home on November 29th. "I am proud of the way our team has responded in training and the way we compete but there is a lot more we have to offer," said Lady Vikings Jay Fitzgerald, "No one has seen our true team." The Lady Vikings pride themselves on playing the best competition in the country. They always have one of the toughest schedules year in and year out from tournaments, to showcases, to the best public and private schools from the West Coast to the East Coast. The Nolan Catholic Women's Soccer team defeated Plano Senior High School in a shoot-out on January 24th, 2004 in the Lewisville Cup. In route to the championship, the Lady Vikings defeated Frisco 5-0 and tied Plano East 1-1 and Flower Mound 0-0 to earn their spot in the final against defending champion, Plano. In the championship, the Lady Vikings and the Lady Wildcats were scoreless at the end of regulation and the 2 OT periods and the match was to be decided in a 35-yard dribble-up shoot-out. Heather Ulliman and Laurel Faulhaber scored their attempts for the Lady Vikings and Lady Viking, Goalkeeper Brittant O'Brien saved all but 1 attempt by Plano in what would be a 2-1 victory for the Lady Vikings. 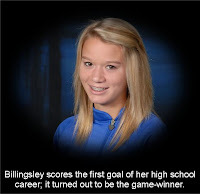 Junior, Lindsay Murray scored a hat trick on Saturday against Bishop Dunne in route to a 7-0 win for the Lady Vikings. Megan Billingsley, Kayleen Negron, Sara Chandlee, and Gaby Larson each scored their first goals of the season. Negron and Larson each inked their first career high school goals. The Lady Vikings move to 3-2-0 on the year and in Saturday's win they earned 13 corner kicks. "We were able to establish a good rythme today on a very narrow field and our players handled it well," said head coach Jay Fitzgerald. This was the first time all year the Lady Vikings have played on natural grass. The Lady Vikings return home on Monday to take on John Paul II and again on Wednesday as TCA comes to Fort Worth. Both matches will kick-off at 8pm. The Lady Vikings even their record at 2 with a 3-0 shutout win over the Presontonwood Lady Lions on Thursday night. Nolan Catholic gets the game winner from Senior, Mexican International, Alex Rios on a free kick from about 30 yards out in the 15th minute. The Vikings didn't stop there, as they put 2 more goals away in the first half of play. Both goals coming from freshman, Elizabeth Havenhill, the first ans second of her high school career. "It is nice to get goals from our young players," head coach Jay Fitzgerald commented. Havenhill has played several roles throughout the young season. Fitzgerald added, "It was nice to see the excitiment from Liz after scoring her first high school goal, we expect more out of her as the season go on." Junior, goalkeeper, Mary Heidt only had to make 2 saves in route to her first high school shutout. The Lady Vikings will travel to Bishop Dunne on Saturday for a 1pm kick-off. That game was moved from Friday night. The Lady Vikings play host to Prestonwood Christian on Thursday night at Doskocil Stadium, kick-off is at 6pm. Friday's match at Bishop Dunne has been moved to Saturday at 1pm. The Lady Vikings (1-2-0) avoid dropping its first 3 matches with a 2-1 win over Bishop Lynch on Monday night. Nolan has never lost 3 consecutive games in the history of the program and Lindsay Murray's 2 goals keep that impressive mark alive. Bishop Lynch get an early goal but Murray answers in the 10th minutes to equalize. The Lady Vikings continued to attack the entire match outshooting the Lady Friars 12-2. It wasnt until the 72nd minute when Murray struck again - that was all Nolan Catholic needed to get their first victory of the year. Prestonwood comes to Doskocil Stadium on Thursday. Kick-off is set for 6:00pm. On Friday, the Lady Vikings travel to Bishop Dunne for a 5:30pm kick-off. Nolan looks to make-up much needed points after they dropped a late week match to Ursuline 5-0 last Thursday night. A game that turned into a track meet saw the Lady Warriors take a corner in the 2nd OT period to defeat the women of Nolan Catholic by a score of 1-0. "Set pieces can be the bread and butter of any team and Liberty was opportunistic," commented Lady Vikings head coach Jay Fitzgerald, "we created a lot of good chances and have to be sharper in front of goal." Haley Spotts and Lindsay Murray combined for 9 shots. With 13 games remaining in district play, Fitzgerald is going to take it game by game. Ursuline is next, 20-time State Champion Ursuline. 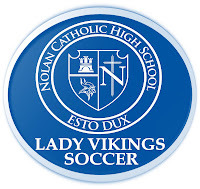 The Lady Vikings play host to the Lady Bears this Thursday night at 8pm at Doskocil Stadium. The JV will play at 6:30pm. 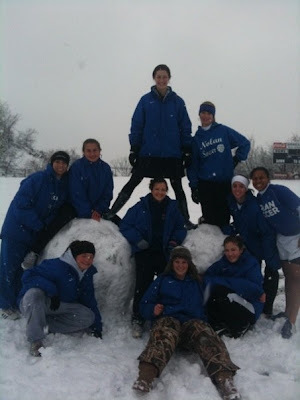 With nine of 11 starters returning this winter, the Lady Vikings return plenty of experience in 2010. Of the 22 players that dot the Nolan Catholic roster, 14 earned letters the previous year. The Lady Vikings are young but have plenty of experience featuring senior, defender Alex Rios would helped the U17 Mexican Women's National Team qualify for the 2010 U17 FIFA Women's World Cup. Rios plays club soccer for FC Dallas. 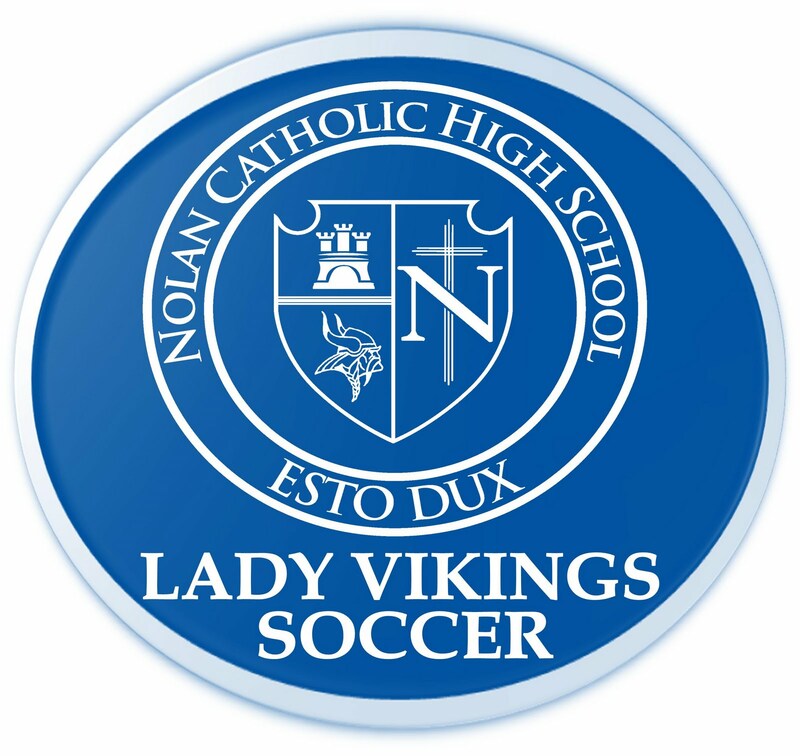 The Lady Vikings return firepower, creativity/flare, and goalkeeping which are all characteristics which have helped the Nolan Catholic Women's Soccer Program gain local, regional, and national respect each year. The program will host one of the nations most prestigious college showcase events again in January, the Red Bull Nolan College Showcase which will take place January 13-15, 2011. Teams from California, Florida, Louisiana, and Texas will be represented in the event. 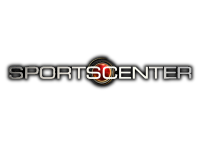 ESPN Rise will once again cover the event and the nation's #1 team will be determined based on results of the event. The Lady Vikings pride themselves in playing one of the most competitive schedules in the country. Some of the top LVS 2010-2011 opponents are Ursuline, San Clemente (CA), Marcus, Southlake Carroll, and Grapevine. IMPORTANT - No one can participate in off-season without medical consents and athletic paperwork completed and turned into Kelli Bay in the Athletic Department. See forms in righthand column. The mandatory ALL SPORT meeting on Wednesday, August 18 at 6pm is in the arena. All coaches and student-athletes with at least one legal guardian are required to attend. All students that are even considering going out for a Nolan Catholic sport must attend. This is required for Fall, Winter and Spring sports. There will be NO make-up session. This date has been on the calendar and announcements sent to families. See everyone on Wednesday. Join us for the first installment of the Road to Trinidad by Lady Viking Senior Defender, Alex Rios. The FIFA U17 Women's World Cup kicks in September as Rios' Mexican National Team takes on Germany on September 5th. I have come to realize that there are many things I could share about my World Cup training experience. First, the training itself is challenging. There is two practices a day every day. The first is a running practice and touches on the ball. The running consists of some very hard runs, some that the main team can't even complete. We run up a steep mountain, up steep hills, sprint around the field for time, sand, or other things like that. We were always tired after the first practice. Recovery is very important in Mexico. we all need to be in top shape for the Cup. The running gets easier as the days go by. The second practice consists of shape and game play. Every scenario that can be played on the field, we practice the defensive side and the offensive side. There are always ups and downs. The ups are the feeling you have after a hard running drill. We were so excited to finish the running drills, not because we didn't have to run anymore, but because we finished as a team and it is a good feeling. Or in the afternoons, playing the right ball to the right place is always the best feeling. The downs were injuries. Having suffered a swollen tendon in my left knee, I was taken out of practice for almost 5 days. It's hard because you're there to play soccer and only play soccer, and you can't do that. It was very frustrating for me. I got better with the help of therapy and care from our doctors. The experience is very overwhelming, but we will be ready for the World Cup. This training has been some of the hardest and most competitive training I've ever done. But I know in my heart that we will put up a good fight in Trinidad and Tobago this September. Go Mexico and of course LVS11!! 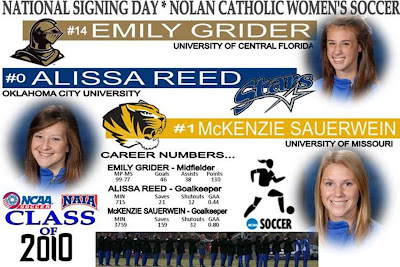 The Nolan Catholic Women's Soccer team will be recognized at the All-Sports Banquet on Sunday. Goalkeepers, McKenzie Sauerwein and Paige Harris stole the show. Sauerwein has been the most consistent player over the past 3 years winning 1st Team All-District and 1st Team All-State honors each year and she was recognized on Sunday at the Most Valuable Player and Defensive Player of the Year. Paige Harris took home the "T" Award and is only a junior so we look forward to her picking right up where Sauerwein left off. Congrats to all the girls on another fine season!! 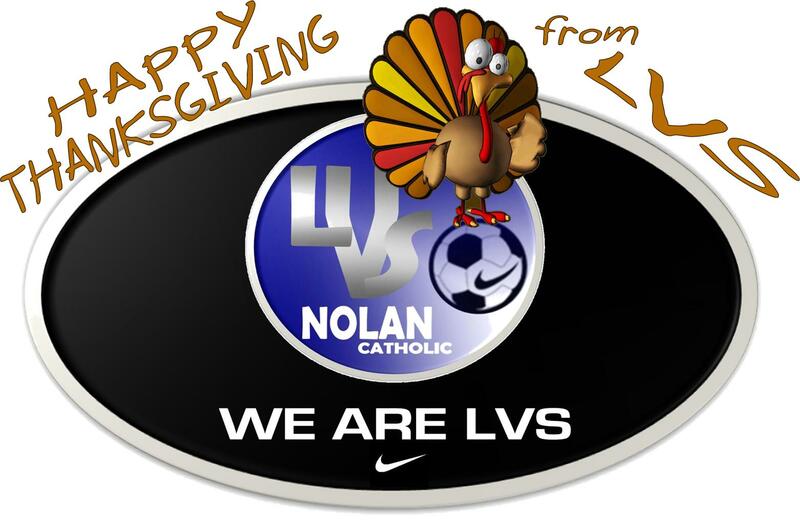 The 2009-2010 Nolan Catholic LVS Video will be on sale next week. The DVD will be made available for $20 each. 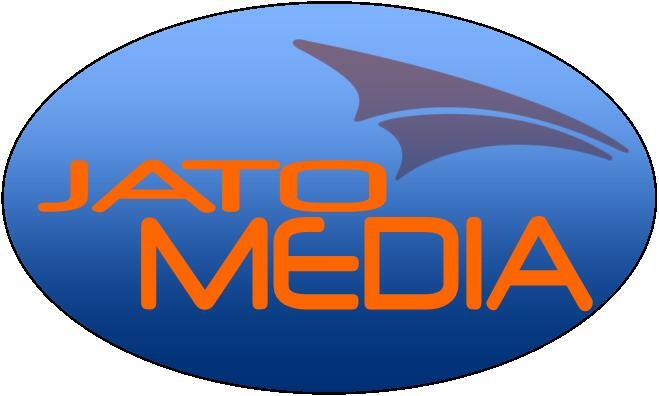 Please email jato@jatoathletics.com if you would like to purchase a video. Nolan Catholic Lady Vikings Head Coach, Jay Fitzgerald, will be in Los Angeles on Wednesday to shoot a commercial for adidas. 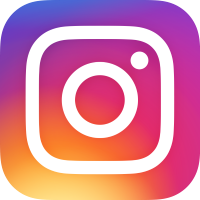 The shoot is at Raleigh Studios in Manhattan Beach, CA. 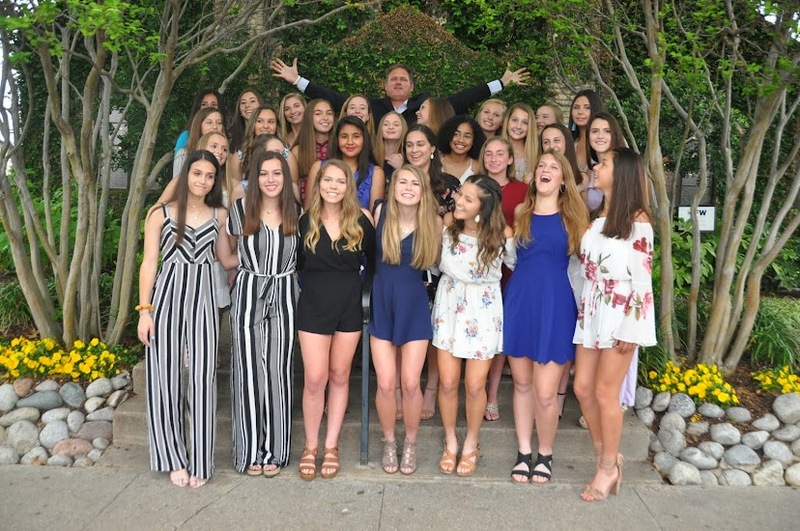 Fitzgerald has aspirations to be on camera; he is the voice of TCU Women's Soccer as he broadcasts all the home games and some road games on the radio and live webcast. He is the media director for JATO Media and also starred in a Sports Illustrated commercial in 1998 and an extra on the NBC series Friday Night Light's in 2008. 03/22/10 - Although the U.S. under-17 women's national team failed to qualify for the 2010 Women's Under-17 World Cup, there a few American high school students who will be competing in the games. Alex Rios, a junior defender at Nolan Catholic (Fort Worth, Texas), and Christina Murillo, of Ojai, Calif., played for the Mexican under-17 squad that finished the CONCACAF Championships as a runner-up to Canada. Rios' e-mail to her high school coach Jay Fitzgerald read, "I'm so excited to qualify for World Cup. Being part of this is something that I've been dreaming about since I started soccer. To be doing this at such a young age is my dream and I'm making it happen. It's the most amazing feeling in the world." Mexico advanced to the final with a 3-1 overtime victory over Costa Rica in the semifinals, a match that featured a dramatic overtime goal by Murillo that sparked the victory. That result secured Mexico of one of the two CONCACAF bids to the World Cup. "That feeling at the end of the game was unforgettable," Rios wrote. "Being able to qualify after that kind of fight through our bracket then the semifinals, it was just the best feeling in the world. It felt like the game was never going to end, but when it did I didn't want to get off that field. After the game ended and we were celebrating, I didn't want that feeling to go away once I left the field." The soccer banquet this Friday night will be at Woodhaven Country Club from 6:00pm-9:00pm. We will come together one last time to celebrate another exciting year for Lady Vikings Soccer. The event will include a dinner buffet, awards presentation, senior presentation, special presentation, and the end of the year video. Who: Players, Parents, Siblings, Boyfriends, etc. Lady Vikings Defender, Alex Rios and the Mexican U17 Women's National Team came up short against Canada 1-0. The games only goal was scored in the 8th minute and Mexico was unlucky dispite playing with a man advantage due to a Canadian player being sent off. Late in the game Mexico hit the crossbar twice. None the less they have earned a berth in the FIFA Under-17 Women's World Cup in September. "It was an amazing experience. This tournament was just a little taste of what we'll see at the World Cup," Rios commented, "Losing this game didn't really matter to us. Yeah, it would have been nice to win, but both of these amazing teams are going to something bigger than this tournament. I'm so proud to be part of this team, and I can't wait for World Cup this September!" See the match tape delayed on FOX SPORTS ESPANOL on Sunday, March 21st at 6pm. Click on link below for highlights of the final. ALAJUELA, Costa Rica - Congrats to Alex Rios, Lady Vikings Junior Defender, has qualified for the 2010 Women's Under-17 World Cup. She is a member of the U-17 FIFA Women's National Team of Mexico and has 4 caps thus far in the tournament. 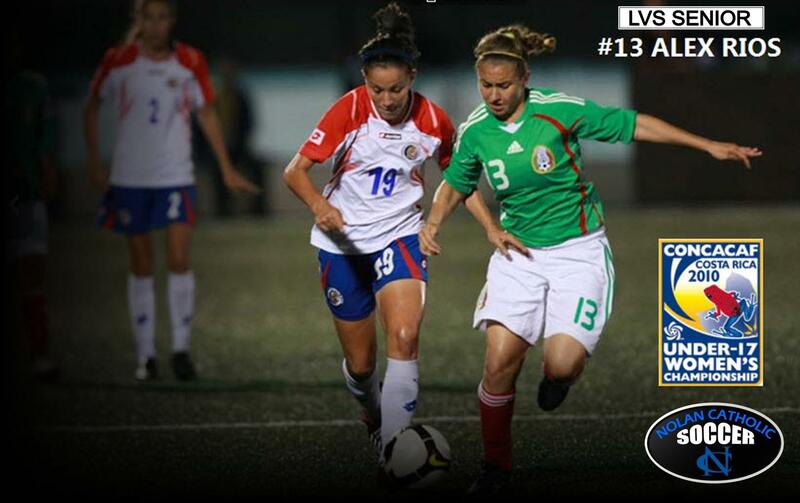 Mexico defeated Costa Rica 3-1 in route to the championship against Canada on Saturday, March 20th. Watch LIVE on http://www.concacaf.com/. Rios' dreams come true, "I'm so excited to qualify for World Cup. Being part of this is something that I've been dreaming about since I started soccer. To be doing this at such a young age is my dream and I'm making it happen. It's the most amazing feeling in the world." Christina Murillo scored from the kickoff that started the second extra time period and Mexico beat Costa Rica 3-1 Thursday night to reach final of the CONCACAF Under-17 Women's Championship. Murillo dribbled just beyond the midfield circle before launching a right-footed blast that arced over Costa Rican keeper Fabiola Murillo and just under the bar. Tanya Samarzich added an insurance goal in the 110th minute to assure Mexico of facing Canada in Saturday's final. The two will join host Trinidad and Tobago at the World Cup in September. Rios after the game, "That feeling at the end of the game was unforgettable. Being able to qualify after that kind of fight through our bracket then the semi-finals, it was just the best feeling in the world. It felt like the game was never going to end, but when it did I didn't want to get off that field. After the game ended and we were celebrating, I didn't want that feeling to go away once I left the field." Since CONCACAF member Trinidad & Tobago will host the U-17 FIFA Women’s World Cup in September, just two World Cup berths instead of the usual three were available at this tournament, both going to the winners of the semifinals. This means the US doesn't qualify for the first time ever. This is such a special moment for Rios as she looks forward to the championship against Canada on Saturday, "Going into the final of this tournament makes me so excited.I know that this is going to be one of the hardest games ever even though we've beaten Canada twice. They have always put up a good fight and I don't doubt that they will put up a good fight on Saturday." After the catastrophic earthquake that struck Haiti in early January, no one thought Haiti’s U-17 Women’s National Team would be able to compete at the CONCACAF U-17 Women’s Championships in mid-March in Costa Rica. But despite all odds, they are here, and the players from their first opponent – the United States -- are filled with both empathy and admiration. Before Jan. 12, the opening match for the USA at the CONCACAF Under-17 Women’s Championship was just a game. A vitally important game for sure, but it was just another step in a quest for a berth to the 2010 FIFA U-17 Women’s World Cup. That all changed when the ground started shaking in Port-au-Prince. The 7.0 magnitude earthquake that struck Haiti produced tragic images streamed across TV sets in America and the world. Even before the quake, Haiti was one of poorest countries in Western Hemisphere, but the pictures were almost unimaginable. An estimated three million people were affected, at least 230,000 people were killed (although the figure continues to grow), 300,000 more were injured and more than 1,000,000 were left homeless. An estimated 250,000 homes and 30,000 businesses collapsed or were severely damaged, among them the headquarters of the Haiti Soccer Federation. The head coach for Haiti’s U-17 Women’s National Team died when that building fell, along with more than 30 officials of Haiti’s soccer federation. Amazingly, Haiti was able to gather their U-17s and travel together to the neighboring Dominican Republic to train and prepare for the tournament. The match against the United States on March 10 at Alejandro Morera Soto Stadium in Alajuela, Costa Rica, will be the first international sporting event for Haiti since the disaster. The tragedy produced an outpouring of support and aid from around the world. The U.S. U-17s will also do their small part to try to brighten the spirits of the Haitian players. Each U.S. player brought to Costa Rica a small bag or backpack filled with things they thought another 16 or 17-year-old might enjoy as well as some basic items that often might be taken for granted. The U.S. Women’s National Team also donated a few large duffel bags full of used cleats and new Nike casual gear for the U-17s to give to the Haiti players while Nike sent a bushel of new soccer shoes to be passed on to the USA’s Haitian counterparts. Each U.S. player wrote a note of support for the Haitian players and put it inside the bag she brought. The U.S. is making arrangements to give the gifts to Haiti following the completion of the first round. 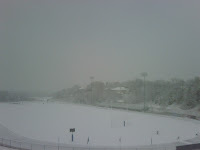 First, though, there is a soccer game to be played. And while the U.S. players will have the plight of the Haitians on their minds before and after the match, they know that during the 90 minutes on the field, they must focus the task at hand, for their team, for their country and for themselves. For the most part, all of the U.S. players come from comfortable homes in quiet neighborhoods not far from great soccer fields in beautiful sports complexes. For them, it is difficult to imagine what the Haitian players must be going through. But as part of the process of growing into positive young women with an awareness of the world and empathy for those less fortunate, they are trying to. “I think it’s incredible that they’ve come to play this tournament,” said U.S. midfielder Alex Doll. Haiti’s participation in the tournament is an example of how sports can help overcome adversity. No matter what the result of the USA-Haiti game, it is clear that just by being at the qualifying tournament, Haiti has already won. US Youth Soccer announced the rosters and schedule for the US Youth Soccer Olympic Development Program (US Youth Soccer ODP) Championships on March 12 and 14 at Reach 11 Sports Complex in Phoenix, Ariz.
Nolan Catholic's, Makenzie Koch and Ursuline's Jana Jeffrey have been selected to the 1994 Girls ODP Championshis Region III Roster. State-level US Youth Soccer ODP Boys and Girls teams in the 1993 and 1994 age groups will play semifinal matches on Friday, March 12, beginning at 1 p.m., with championship and consolation matches to be played Sunday, March 14 beginning at 8 a.m. The teams competing have qualified by winning their respective age group at their US Youth Soccer ODP Regional Championships. 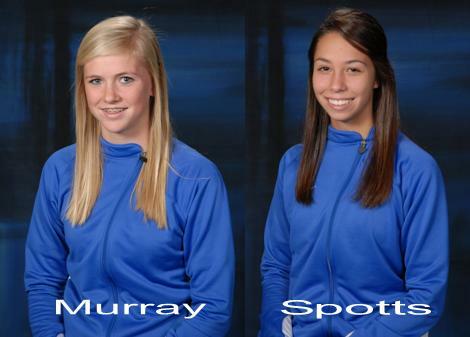 The Lady Vikings have more players represented on the All-District and All-State Teams in the history of the program. Congratulations to the Lady Vikings!! 1st Team - Emily Grider, Annie Smithey, Maygan Ditucci, Emily Baker, and McKenzie Sauerwein. The #31 Lady Vikings drop to 18-4-0, giving up 2 to Coppell early and 3 late for a 5-0 drumming by #23 Coppell. The nations former #1 team and UIL 5A Defending State Champion, Coppell, had no problems with Nolan Catholic on Saturday morning. Gametime temperatures around 19 degrees didn't stop the dangerous attack of the Cowgirls who improve to 6-3-1. The Lady Vikings host Marcus on Tuesday night at Doskocil Stadium, kick-off is at 7:15pm (JV at 5:30pm). The Lady Vikings concluded TAPPS 1-5A play on Friday afternoon with a 2-0 shutout of Bishop Dunne. Lindsay Murray scored in the 2nd minute and Maggie Kleiser, in her first game on varsity, scored in the 2nd half. Paige Harris and Alissa Reed combined for the shutout. The Lady Vikings finished 12-2-0 in district play as runners-up to Ursuline. Coppell will play host to the Lady Vikings on Saturday at Echols Stadium at 11am. Coppell is ranked #23 in the nation right in front of the #31 ranked Lady Vikings. Formerly the nations #1 team, Coppell comes into Saturday's match at 5-3-1 with its only loses coming to Top 5 teams. The Lady Vikings are similar in the fact that their only loses have also come to top nationally ranked teams as well and come into the match at 18-3-0. The away match at Bishop Dunne scheduled for tonight at 5:30pm has been moved to Nolan today for a 4:30pm kick-off. St. Stephen's will not be traveling from Austin so Saturdays game will be against Coppell at Coppell High School's Echols Stadium. The game will kick-off at 11:00am. Nolan travels to Bishop Dunne on Friday night at 5:30pm to close out TAPPS 1-5A district play. The Lady Vikings defeated the Lady Falcons in round one in district play by a score of 6-0. Goals were scored by 6 different players Maygan Ditucci, Makenzie Koch, Elizabeth Cottrell, Emily Baker, Emily Grider, and Annie Smithey. Up Next: St. Stephen's Academy travels from Austin to play the Lady Vikings on Saturday at 11:00am at Doskocil Stadium and then Nolan plays host to Flower Mound Marcus next Tuesday night at 7:15pm at Doskocil Stadium as well. Nolan Soccer play-by-play analyst Chris Blake called all the action tonight as the match was broadcast LIVE on JATOTV. Paschal scored first and held the lead for 72 minutes until the Lady Vikings answered and answered again. They finally made their 15 to 3 shot advantage count. Emily Baker scored her 3rd goal of the season which is a career high for the senior, center back. She scored off the Lady Vikings 12th corner kick of the night, which was a season high. Baker evened the game at 1 in the 72nd minute and then just 4 minutes later the Koch sisters combined for the game winner. Older sister, Makenzie, found a gap in the Paschal back line right where younger sister, Katlynn isolated herself. As the 2 Lady Panthers closed on her she spun bewteen both of them at the top of the 18 and was well on her way in behind and tucked the ball away to give the Lady Vikings a 2-1 win. Missouri bound goalkeeper, McKenzie Sauerwein preserved the win in the final minute of play with a breakaway save to keep Nolan Catholic on top. Clutch performances all around for nationally ranked #13 Lady Vikings as they improve to 16-3-0. "Consistency, belief, and several clutch performances got you the result tonight," Nolan Catholic head coach, Jay Fitzgerald told his team after the match. Nolan Catholic has a chance to move into the Top 25 and avenge last weekend loss to nationally #25 Plano West as they take on the Lady Wolves again on Thursday at Clark Stadium East at 5:45pm. The next LIVE broadcast will next Tuesday night as the Lady Vikings play host to Marcus High School. Plano West scored in the 60th minute and held on for the 1-0 Allison Horn Memorial Showcase Championship. The Saturday night tilt between #31 Nolan Catholic and #42 Plano West at Mustang-Panther Stadium was an end to end battle. Both teams defended with tenacity and comp sure and Plano West bent but didn't break. The play of West goalkeeper, Abbie Smith keep the Lady Vikings off the board and secured the win for the Lady Wolves. The Lady Vikings will take on Plano West again on Thursday at 5:30pm at Plano West. Both teams should move up in the National Rankings based on their results over the 3 -day showcase. Nolan improves to 16-3-0 going 3-1-0 over the weekend outscoring opponents 12-3. With a 6-1 win over Plano the Lady Vikings advanced to the championship match of the Allison Horn Memorial Showcase at 5pm at Mustang-Panther Stadium tonight. Emily Grider scored 22 and 23 with 2 goals in the match. Makenzie Koch, Maygan Ditucci, Haley Spotts, and Lindsay Murray all had goals in the match. Ursuline finished 2nd in the bracket with 28 points but Nolan, 28 points as well, advanced by way of goal-differential with a +10 to Ursuline's +8. The Lady Vikings will play the winner of the Plano West vs Colleyville Heritage match which is still in progress. Ursuline will play in the 3rd place game at Colleyville Heritage. The Lady Vikings get 2 early goals from Kathleen Keoughan and Maygan Ditucci. Keoughan's goal was the first of her career. Makenzie Koch added a late penalty which sealed the 3-0 victory for Nolan over Rockwall. With the win, Nolan maxed out on points with 10 for the evening which adds to the 9 they got with their 3-1 win over Mansfield the night before for a total of 19. Ursuline leads the group with 20 with their 3-0 win over Plano and 4-0 win over Mansfield. Ursuline takes on Rockwall at 9am in the morning which will give Nolan an idea of what they have to do against Plano at 1pm. Ursuline and Nolan are used to finishing 1st and 2nd; the results tomorrow will determine which one will go through to the championship of the Allison Horn Memorial Showcase. The Lady Vikings go down a goal in the first half in the opener against Mansfield, in the Allison Horn Memorial Showcase. Mansfield's, Haley Maurice scored in the 22nd minute to put the Tigers on the board and it took a fierce 2nd half effort for the Lady Vikings to remain unbeaten in 7 games. Goals were scored by Haley Spotts, Makenzie Koch, and Emily Baker. The Lady Vikings improve to 14-2-0 and get 9 points out of the first game in the showcase. The Lady Vikings take on Rockwall on Friday night at 8pm at Colleyville Heritage. The Allison Horn Memorial Showcase kicks off today at 4pm at Mustang-Panther Stadium and Colleyville Heritage. The showcase is hosted by Colleyville Heritage. Emily Grider leads the way with her 2nd hat trick of the year, plus 1. Katlynn Koch had 3 assists to 3 of Grider's 4 goals. The Lady Vikings defeat Plano Prestonwood 4-0 and move to 13-2-0. Bishop Dunne, who was defeated by TCA tonight 9-1, is the only team left to play the Lady Vikings in district play. The Lady Vikings have clinched district runner-up and will host a first round playoof game Saturday, February 6th at Doskocil Stadium. Up next for the Lady Vikings is the Allison Horn Memorial Showcase hosted by Colleyville Heritage. Matches begin on Thursday and the Lady Vikings will take on Mansfield at 8pm on Thursday at Mustang-Panther Stadium. The 12-2-0 Lady Vikings travel to Plano Prestonwood on Tuesday for their second to last district match. Back on November 16, Nolan defeated Prestonwood 2-0 on goals by Makenzie Koch and Emily Grider. The final district game of the season will be at Bishop Dunne on Friday, January 29th at Dunne. The Lady Vikings will compete in the Allison Horn Memorial Showcase starting on Thursday against Mansfield at Mustang-Panther Stadium. Kick-Off is set for 8pm. The Lady Vikings Women's Soccer Team competed in a Sporting Clays Tournament on Saturday and then spent the rest of the weekend together. For more information on the Clays Tournament visit www.twitter.com/nolansoccer. The players gathered for dinner and a movie on Saturday night and then attended Mass in the morning at Good Shepard in Colleyville. They also spent time selling raffle tickets to the Nolan Catholic Mardi Gras after Mass and will do so again on January 31st. Following mass the players went shopping to make lunch for each other while they watched the Dallas Cowboy's game at Emily Baker's house. The Lady Vikings were scheduled to play in the St. Stephen's Invitational in Austin over the weekend but due to the weather in the South, the fields were unplayable. Next up for Nolan is Tuesday night at Plano Prestonwood at 6:30pm. The team has clinched TAPPS 1-5A Runner-Up and a first round home playoff game on Saturday, February 6th. WHAT: Community. It’s a frequently used word. In Latin, it means fellowship. Say “community” and images of neighborhoods, church, and family come to mind. Say “community” at Nolan Catholic and speak to the very essence of the school. For almost 50 years, Nolan Catholic High School has served as a key source for secondary education and faith formation in the Fort Worth Diocese. Underlying this mission of education and faith is building community. Whether through service, athletics, or fine arts and music, thousands of young adults and their families have built and continue to experience the Nolan Catholic community. 1. Great Place: The event will be held at the newly renovated Sheraton in Downtown Fort Worth 2. Great Fellowship: Join 400 friends and family of the NCHS community for a great seated dinner and live music. 3. Valentine’s Day: Celebrate with your spouse or special someone. Special packages are available. 4. Great Prizes: Have a chance to bid on sports packages, memorabilia, trips, special dinners, graduation seating, tuition raffle, and other prizes. extracurricular programs, and financial aid for our community. Like all community efforts, events like these don’t happen without broad support. If you only have an hour to spare, we could use your help. Please consider volunteering your time to make this year’s event special. And regardless of the time or treasure you’re willing to contribute, please mark your calendars for February 13 and plan to attend. The Lady Vikings continue an impressive streak of games with another 5 goal match but this time in district play. With the 5-1 win over TCA on Tuesday night, the Lady Vikings clinch district runner-up and secure a first round home playoff match on Feb. 6th and if they win that match, the Regional Championship will again go through Doskocil Stadium the following weekend. Emily Grider scores number 17 on the campaign while Annie Smithey scores 2 on the night. Grider continues her impressive streak scoring in 10 of the 14 games, adding 4 game-winners so far this year. She scored 15 goals and 13 assists last year for 43 points. Maygan Ditucci and Haley Spotts each add 1 a piece. Ditucci and Spotts combined to create numerous opportunities for the Lady Vikings and single handily controlled the game the entire match. The Lady Vikings only get 2 games in the prestigious Red Bull Nolan Showcase but make the best of them. With a 4 goal production against William Taft from Los Angeles on Friday, they added 1 more to that and put up 5 against Odessa. Emily Grider scored 2 more goals to add to her 2 the previous day. Elizabeth Cottrell scored another goal along with Maygan Ditucci. Goalkeeper, McKenzie Sauerwein scored her first goal of her high school career as she played in the field; Paige Harris and Alissa Reed combined for the shutout. Nolan had their first game of the showcase cancelled yesterday while most of the teams including todays opponent had 1 under their belt. Nolan's Emily Grider didn't waste any time scoring the first goal. Grider actually scored in the first 3 minutes and the last 3 minutes for her 2 goals on the day. Makenzie Koch and Elizabeth Cottrell also scored 1 a piece. Cotrell got her first game-winner of the year. With the win, the Lady Vikings moved to 10-2-0. Odessa is the Lady Vikings next opponent. The morning matches were cancelled and that meant the Lady Vikings from Nolan and the Lady Dragons from Southlake didnt get to kick-off the event like they have the past 2 years. The winter weather iced over streets in the morning forcing the showcase to begin at 10am. Nolan will take on William Taft from Los Angeles, CA at 10:30am Friday, January 8th. William Taft lost their first match today to Plano East 2-1. The game for this morning has been cancelled but we may play later on tonight - we will keep you posted.